1718, the revised (changed for improvement) play opened in Paris to a sensational success. 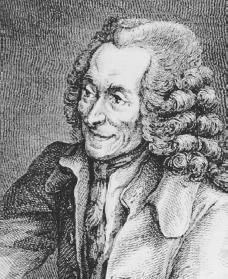 The Henriade, begun in the Bastille and published in 1722, was Voltaire's attempt to compete against Virgil (70–19 B.C.E. ) and to give France an epic poem (a long poem centered around a legendary hero).